Hand-made including Persian, Chinese, Turkish, Moroccan, Pakistani, and Dhurry. Machine-made including Wilton, Axminister, and Karastan. 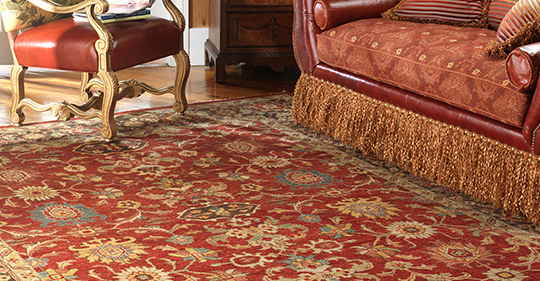 Any area rug made from wool, virgin wool, silk, cotton, blends, nylon, and olefin. Pre-inspect for type of material, material condition, dye stability, stains, and overall soiling to determine the correct cleaning agents to use to achieve the best results. Area and oriental rugs can be cleaned in-house or brought back to our facility. If in-house, we prepare the area and protect the surrounding floor and furnishings. Pre-vacuum both sides of the area or oriental rug to help remove loose soil, pet dander, dust mites, etc. Complete steam rinse and extraction to remove soil and stains leaving rugs clean.